New in Direct Mail 3, we’ve added a handy option called “Replace entire group”, which will replace all the contacts in your selected address group with the new Daylite contacts, but still remember which addresses were unsubscribed. Now, whenever you send email from Direct Mail, the email campaign will automatically appear in Daylite linked to the appropriate contacts (Direct Mail identifies the contact to link by matching email addresses). You can even click the linked email campaign and Direct Mail will automatically open and take you to the corresponding campaign summary. 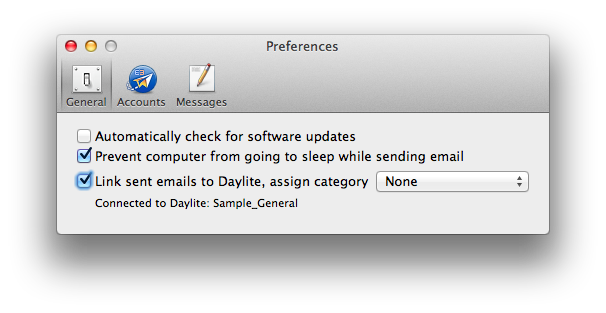 We think folks are really going to love how easy it is now to keep track of your email campaigns right from Daylite. Stay tuned to our blog next week for in-depth looks at new features in Direct Mail 3 that you will love!